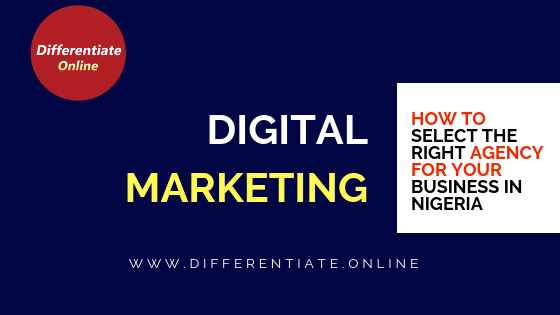 The right digital marketing agency in Nigeria understands that the key objective of every business is to generate leads, make sales, and build customer loyalty. And in this digital era, achieving these set objectives requires a new kind of strategic business approach – digital marketing. There are several definitions of digital marketing. We’ve shared our own definition which you can read about here. Digital marketing offers a variety of online marketing options that when strategically combined has the potential of reaching your target audience wherever they are, engaging them and converting them into loyal customers. 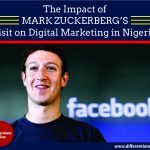 With the above insight, many businesses in Nigeria have started leveraging digital marketing for growth. However, it’s not as easy as it sounds and can be of a challenge to most businesses that are considering exploring it. And this is where the need to outsource to an external digital marketing agency. 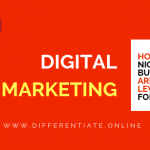 But there are lots of digital marketing agencies in Nigeria that comes in all shape and sizes – from small, locally based to big international ones. So how does one choose? How do you select the RIGHT agency for your business? The answer is the essence of this post: to provide you with key crucial elements to make the RIGHT choice. The first step in choosing the RIGHT digital marketing agency in Nigeria is to define your intent; what you’re hoping to achieve and benefit from the partnership? Do you wish to become an authority in your industry? 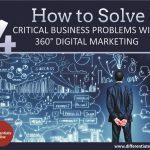 Do you need help creating and executing a digital marketing strategy? Whatever it is, your goal must be clearly defined business objectives that will help you through the process of choosing the right agency. The second step is to conduct an initial research and compile a list of qualified digital marketing agencies in Nigeria. Ask noncompetitive business owners or reach out to media outlets for recommendations. Then narrow the list down by considering what type of agency they are, their specialization and if they offer a complete integrated digital marketing services. 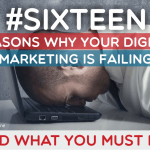 Let’s be frank, most digital marketing agencies in Nigeria do not excel in every discipline. They’re not competent in the execution of an integrated digital marketing strategy. So ask an agency about their core skills, and consider if they are in line with your objectives. You may also discover that the agency you’re considering is particularly skilled in website design but you want lead generation and conversion; so why not find the agency that is skilled in these areas and matches your business goals. Yeah, you can’t neglect that. This is because the secret to a long-term success is a good working relationship. So make sure you like the people and their approach to things. Not to forget professionalism; how well do they conduct themselves when interacting with your business – because as your agency, they represent you. You want the right digital marketing agency in Nigeria that will professionally conduct themselves when working on your behalf. Another step is by asking yourself: what’s my budget? The fees of most digital marketing agencies in Nigeria can be outrageous, and some businesses cannot afford the agency that they want to work with. Fees could be by per project, quarterly or annually. Do they have a retainer structure? Make sure you know how much you want to spend and how their fee is structured. You don’t want to choose an agency that your business can’t sustain financially in the long run. Now that you have at your finger tip the crucial elements required to make a decision and find the right digital marketing agency in Nigeria for your business. Look no further, we have everything you need. Differentiate Online is the only complete 360° digital marketing solution in Nigeria. The following reasons are why you should choose us as the right digital marketing agency in Nigeria for your business. 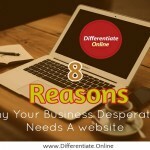 Differentiate Online: Why Choose Us? Unlike other agencies with incomplete solutions, our 360° digital marketing solution is the first of its kind in Nigeria that is complete. We don’t just build digital billboards and call them websites, we develop websites as digital marketing tools to generate and convert leads into profitable customers. Design Strategy: that uses web technologies to creatively craft an unusual website that reflect your brand, stand you out and captivate your target audience. Content Strategy: that uses content marketing to tell a compelling story that captures the interest and attention of your target audience, communicating the uniqueness and usefulness of your brand. Traffic Strategy: that uses search engine optimization and social media engagement to attract visitors to your website, making your brand not only to be visible, but to be known, liked and trusted online. 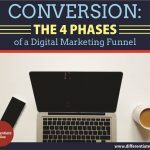 Conversion Strategy: that online conversion tools such as sales pages that crafted and strategically integrated into your website to turn visitors into profitable customers. Unlike most agencies that take forever to finish a project or respond to your website updates when you urgently need to; as a team with specialized expertise, we have the capacity to deliver your project on time within budget and quickly respond to your website update needs as they arises. This’ because we see ourselves as your digital marketing partners charged with the responsibility of developing, promoting and preserving your band online. As a business development company, the central objective of having a 360° Online Presence is to grow your business and not just to focus on the technical aspect without considering the bottom-line. So, as a result of this, we provide ongoing business development advisory to ensure our complete integrated digital marketing solution integrates well with your entire business model and corporate objectives. Unlike most agencies that work on your project in isolation, we will not only work on your project but also carry you along every step of the way ensuring that you understand why and how each aspects works and fits together to deliver your desired results. Want to Take Your Brand/Business to the Next Level Online? If yes, click here to get started to create a complete 360° online presence now.